Far less popular than southern islands such as Lombok and Bali, northern Indonesia is the perfect place to visit if you’re looking for a quiet escape. It’s a great region for nature lovers, with the islands of Sumatra, Kalimantan, and Sulawesi offering some of the rarest plants and animals on the planet. With fewer than 7,000 wild orangutans left in the world, you can only see this rare creature in its natural habitat on the islands of Borneo and Sumatra. It’s a real privilege to spot them in Sumatra’s Gunung Leuser National Park, where you could also see lizards, peacocks, and monkeys. You might also find these beloved creatures in Kalimantan, located on the island of Borneo, which it shares with Malaysia. 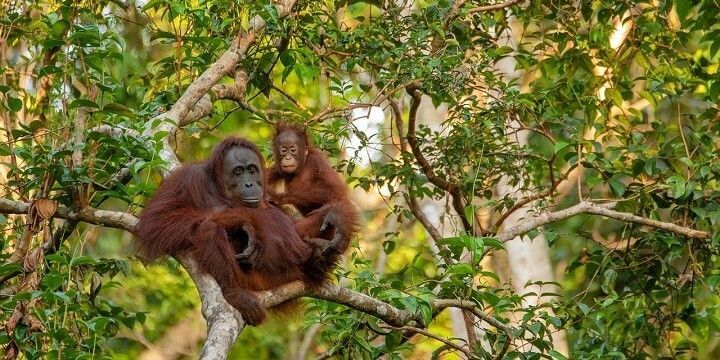 You might be able to spot orangutans in Kalimantan. The wetlands of the Danau Santarum National Park boast a wide variety of wildlife, ranging from energetic monkeys to enormous crocodiles. 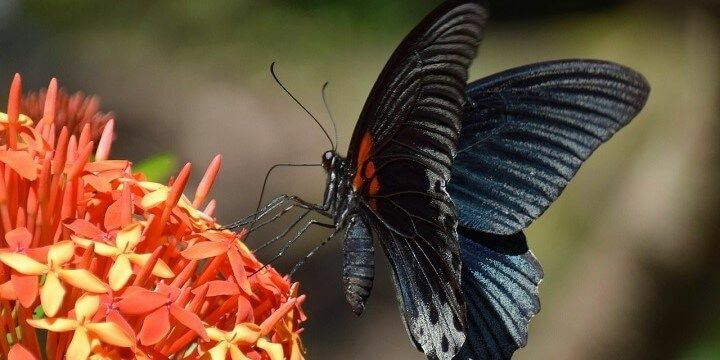 While on Sulawesi, be sure to visit the Lore Lindu National Park for lush rainforest, monkeys, and colorful butterflies. The Lore Lindu National Park features lush rainforest, monkeys, and colorful butterflies. Located in the highlands area, this high-elevation park offers stunning views, challenging hiking routes, as well as indigenous plants and around 80 species of bird. Sumatra’s fairly small Mount Sibayak (2,212 m) is worth visiting for the incredible sunrise view from its peak, or the relaxing natural hot springs at its base. Kalimantan’s White Mountain also offers scenic views and a fascinating cave, with helpful lights to guide you through the chambers. Bat Cave is just one of the many caves on Sumatra. To explore more of northern Indonesia’s caves, visit Bat Cave on Sumatra. 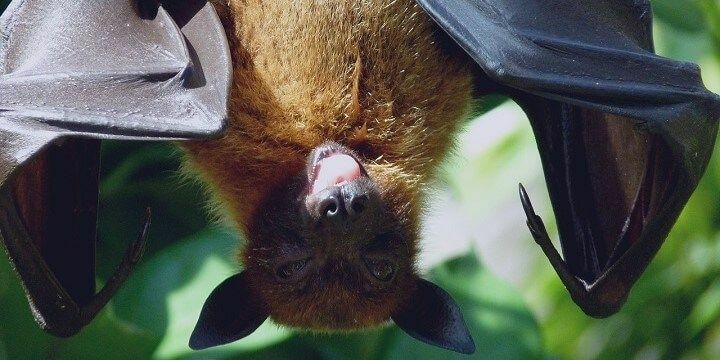 As the name suggests, the underground passages are home to a huge number of bats. Unlike the caves of the White Mountain, Bat Cave is fairly undeveloped, meaning there are no footpaths or lights, so it’s worth finding a tour guide to assist you. The Supisopiso Waterfalls, located on Sumatra, are the tallest in Indonesia. Clearly marked hiking trails will guide you to the falls, where water drops 120 meters down jagged rocks into the deep valley below. The island is also home to Lake Toba, the largest volcanic lake on Earth. The Singapore-sized Samosir island sits at the center of the lake and is a great spot for tasting juicy local mangos. Lake Toba is the largest volcanic lake on Earth. 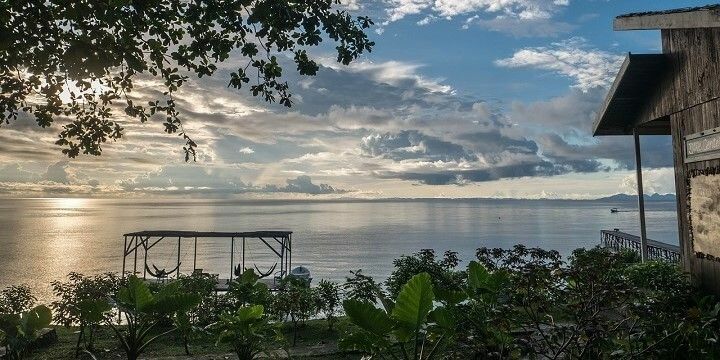 Visit the small island of Maratua just off the coast of Kalimantan for two more gorgeous lakes. Tanah Bamban and Haji Buang boast a range of colorful fish and turtles, as well as plenty of watersports and jet skiing opportunities. Sulawesi’s Tondano Lake, meanwhile, sits at 600 meters above sea level and is surrounded by peaceful, green countryside. Sumatra is home to a diverse mix of ethnic groups, each with different, intricate architectural styles. In Barastagi, for example, you’ll find Karo villages with thatched-roof buildings, while the Batak people in Toba build boat-shaped houses. Visit Toba for its unique architecture. 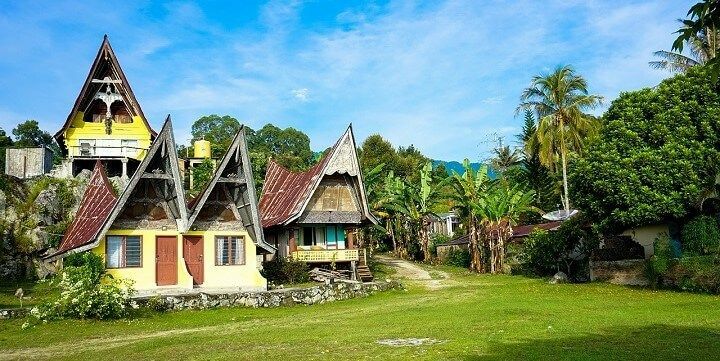 The village of Minangkabau has perhaps the most unique buildings of them all, with tall, pointed roofs, meant to resemble buffalo horns. For more cultural experiences, be sure to try some traditional Indonesian food and drink. The world-famous and very expensive cat poo coffee, for example, was first produced in the remote village of Batang Palupuh on Sumatra. 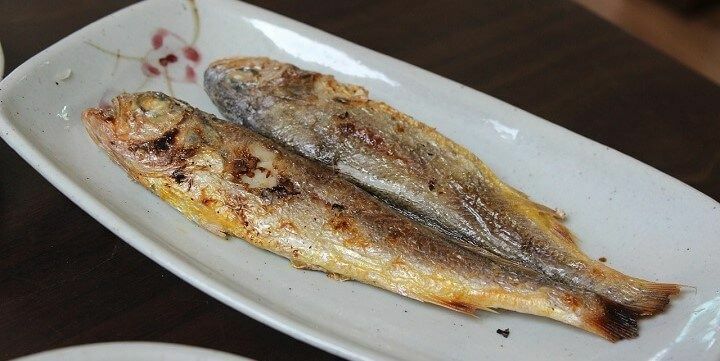 "Ikan bakar" means barbecued fish. Meanwhile, tasty fish dishes like ikan bakar (barbecued fish) can be sampled around the island’s Lake Toba. Northern Indonesia’s best beaches and diving opportunities can be found on the small islands off the coast of Sumatra, Kalimantan, and Sulawesi. The Mentawai Islands, located to the West of Sumatra, for example, are great for surfers of all levels, with waves ranging from 0.5 to 4.5 meters. The Mentawai Islands are great for surfing. Meanwhile, Bintan Island, located close to Singapore, is much more developed, making for a fun vacation with lots of vibrant bars and restaurants. The Togean Islands, just off the coast of Sulawesi, offer some of the best snorkeling and scuba diving in the world. You could spot 70 kinds of coral and five species of turtle, alongside other colorful fish and sharks. The Togean Islands are located just off the coast of Sulawesi. The Derawan Island, close to Kalimantan, meanwhile, offers the opportunity to spot marine wildlife including octopi, scorpion fish, and seahorses. Calmer than the southern islands of Indonesia and great for outdoor lovers.